Looking to simplify your life with a powerful time-saving tool? 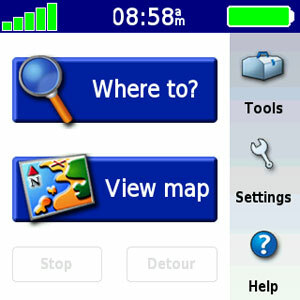 The iQue 3000 combines simple, intuitive GPS navigation, 3D maps and a Palm OS platform into a sleek, lightweight PDA. Getting where you need to go has never been easier! iQue 3000 boasts touch screen navigation that is easy to use with your fingers — no need to pull out the stylus. 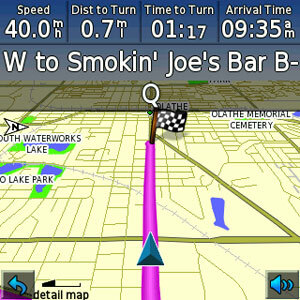 Choose between 3D or 2D maps, which let you easily see where you're going. Look up addresses or points of interest, such as restaurants, fuel stops, parks and hotels, and the 3000 gives you voice prompts and turn-by-turn directions to your destination. 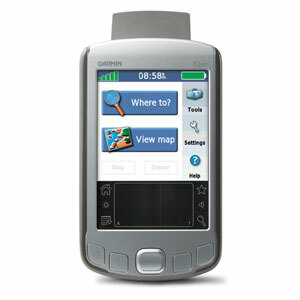 Best of all, the 3000 integrates GPS navigation with your Address book and Date book, so you can search for an address or appointment and then create a route to it. The versatile Palm-Powered™ iQue 3000 is ideal for anyone who wants one integrated device for their vehicle, home and office. 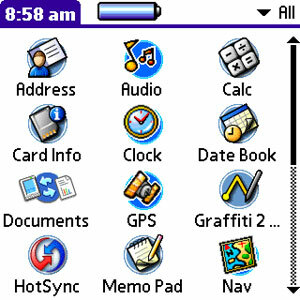 It features Palm® OS Garnet and includes an address book, date book, to do list, calculator and more and can synchronize information and documents with your computer, so you'll always be up-to-date. The 3000 is simple to use and even includes a built-in Help to provide useful information about the many software features. The iQue 3000 comes with MapSource® City Navigator data, which provides nearly six million points of interest, including restaurants, hotels, parks, fuel and more. It also includes the ability to synchronize your iQue 3000 organizer applications with either Palm™ Desktop or Microsoft Outlook. For extra fun, you can also load games and tools from the included Setup and Map disk.